Today’s post on learning Spanish through music and play will be hosted at Toddling in the Fast Lane. 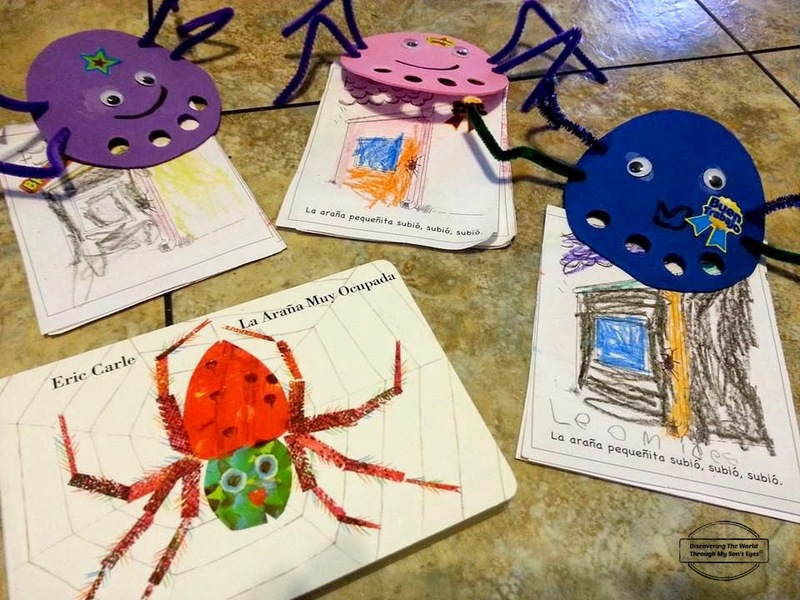 Kristen has many wonderful ideas on teaching her Chiquita Spanish so I’m excited to be (visiting her neck of the woods) with a post on the children’s story book La Araña Muy Ocupada paired up with La Pequeña Araña song, and a spider craft. You can check out the full post with song lyrics, and craft idea at Toddling in the Fast Lane. For other fun ideas on teaching your child Spanish click here.